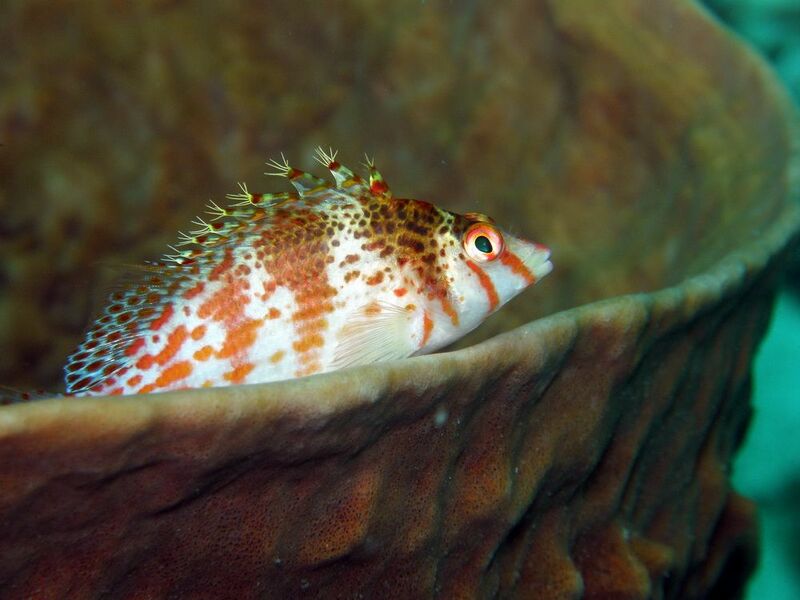 Diving in Moalboal is better than ever before and the dive spots around Pescador Island and the steep walls along the coast belong to the best in the Philippines. 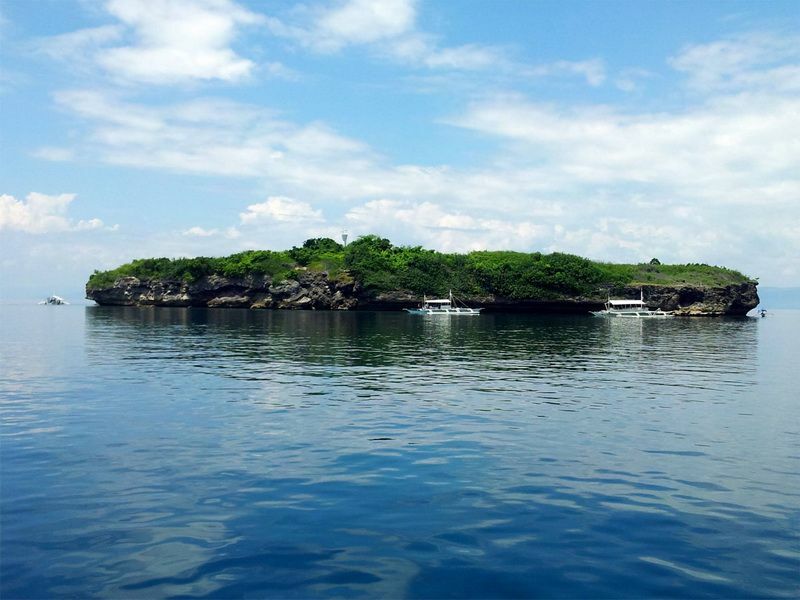 Pescador Island is just a 15 min boat ride from our dive shop. 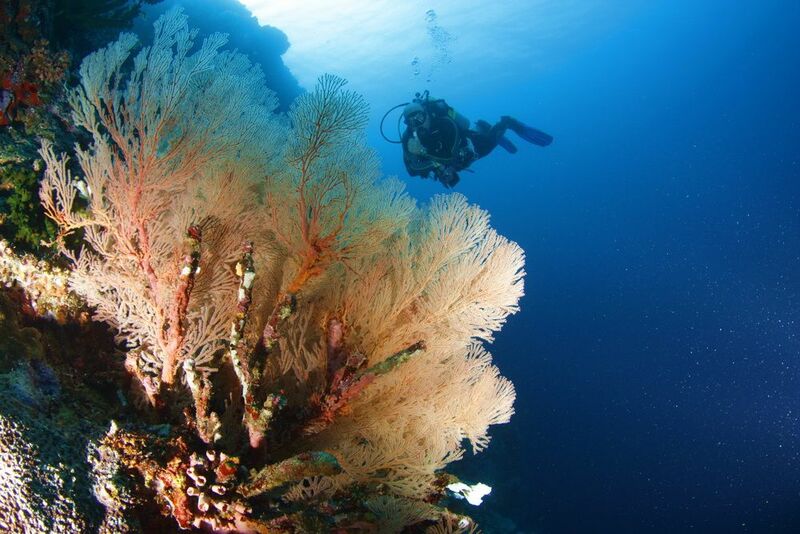 Between Cebu’s coastline and Pescador Island, the sea floor drops down to over 300m deep. Out of this depth the island rises like a pinnacle. 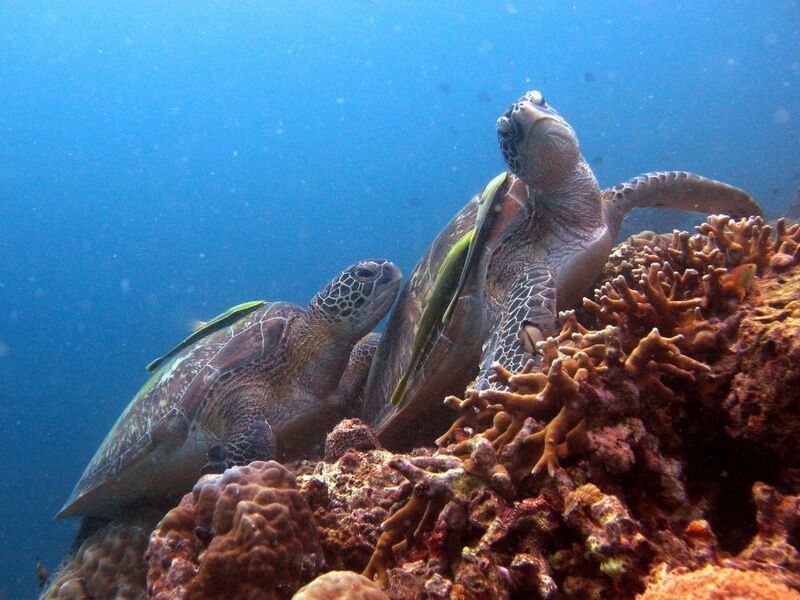 Pescador Island is famous for its beautiful, largely untouched marine life. The small island with rocky cliffs is fringed by a shallow reef 3-10m wide, then spectacular drop-offs plunge away to depths of 55m plus. The main point of interest for many is cathedral cave, a spectacular swim through starting around 30 meters deep, with several exits at 18 meters, stunning! 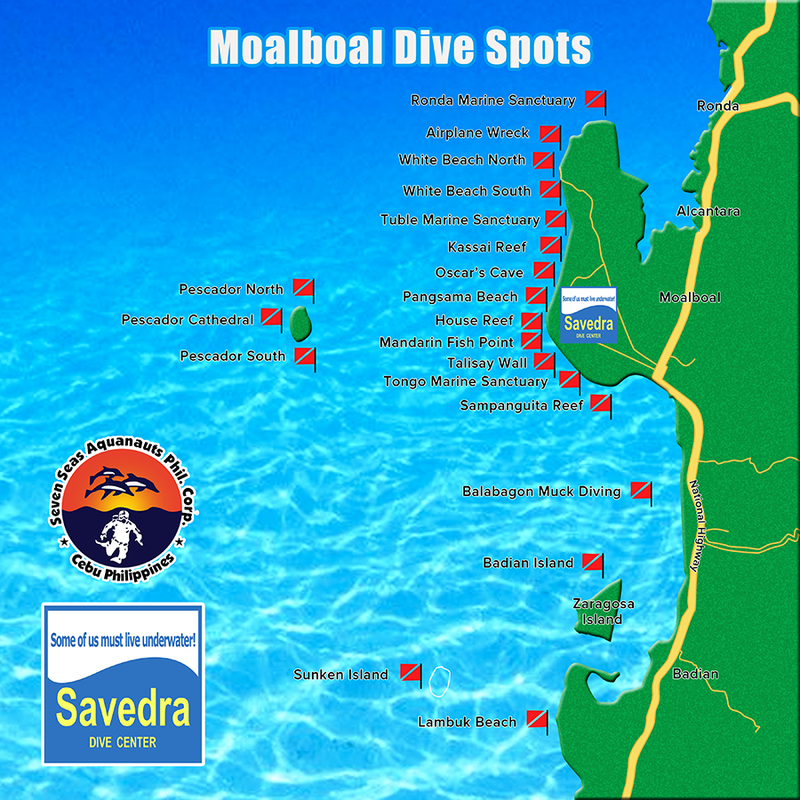 Moalboal dive spots along the coastline of the peninsula. 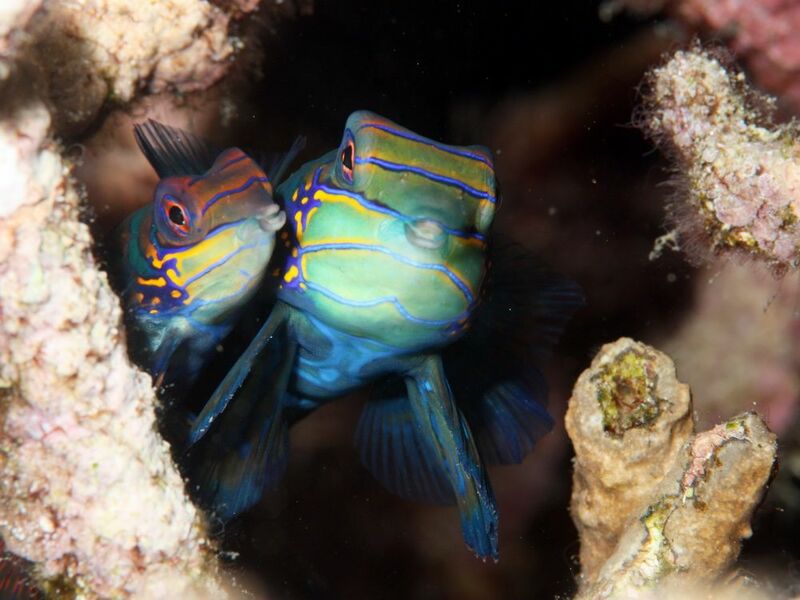 These impressive dive sites are home to an extraordinary array of coral, ferns, anemones, sponges and a swarming host of brightly colored fish. 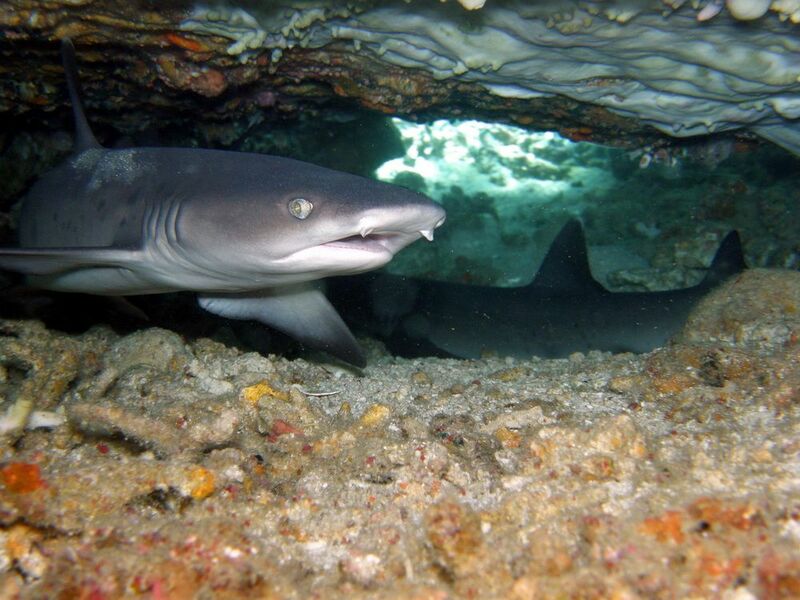 Groupers, turtles and sea snakes are among the common encountered residents. 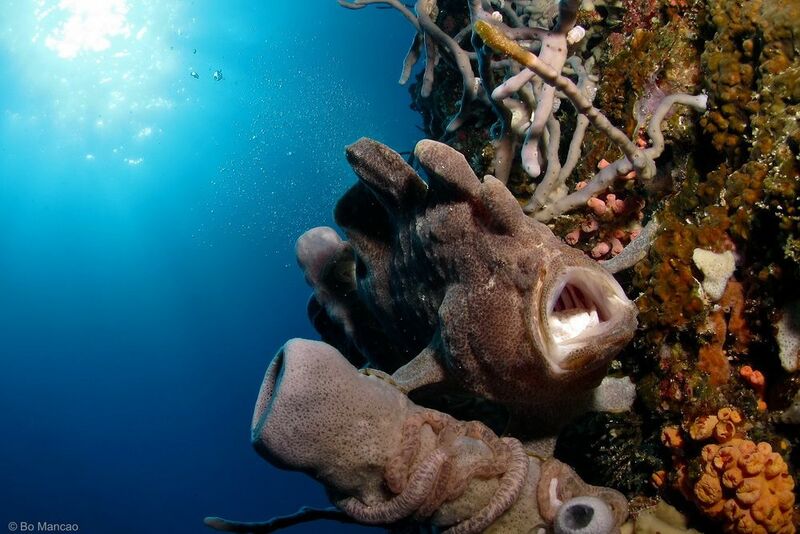 All dives are superb wall dives, with some small caverns and swim throughs, an interesting underwater topography as well as the most colorful reef creatures imaginable. And all dive spots can be reached with a short banca-ride of only 10-20 minutes. A spectacular dive, for experienced divers only. It’s actually an underwater pinnacle, with the summit about 25m below the surface. You have to drop through 25m of open blue water and mostly strong currents to reach the top of this shoal. U/w photographers love to shoot pictures of the big school of lionfish, often 20 in one place and reaching substantial sizes. 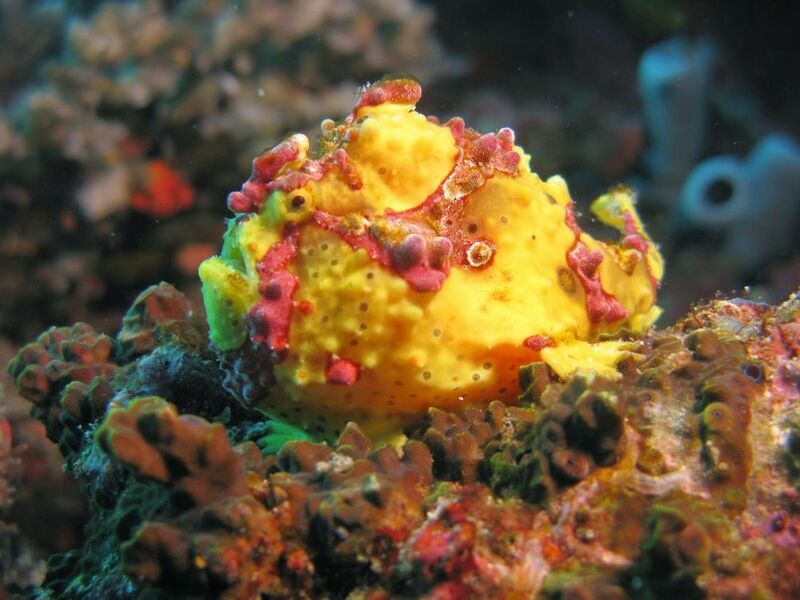 Also you find frogfish and spanish dancers in this area. And, of course, pelagics: great school of jacks and tuna, barracuda, grouper and snapper, schools of blue triggerfish and mackerel, as well as the occasional manta ray or shark. Beware of strong currents here. Here our team organized the sinking of an airplane in the coastal waters of Moalboal, Cebu. LancAir, an American plane manufacturer based in Mactan, donated two-seat airplane as an artificial reef. The Savedra Team, with the help of Course Director Mario Tapales, hired a truck to move the plane from the manufacturer to Moalboal. In order to put the plane on the truck, the wings had to be dismantled. Still, the truck looked rather small under the weight of the plane and it drew a lot of attention in Cebu City, sometimes stopping the traffic. After the first kilometer the truck encountered the first bridge and got stuck. A handsaw had to be organized quickly to cut a piece from the back wing. After a long journey the plane arrived in Moalboal and was deposited in the Reef Club. Divers had already scouted for a nice, sandy spot on the reef floor in a depth of 20 meters, just in front of another drop off. For the wings and hull were completely empty, without any engines, weight had to be added to sink the plane. The wings were partially filled with cement and were pulled one by one by the Savedra dive boat to the final destination. The hull was filled with old scuba diving tanks, giving the fish a lot of holes and caverns to hide. After all pieces were lying in the sand, divers attached big lifting backs to the various pieces and assembled the plane under water. Finally a buoy was attached to the site, to avoid damage by anchors by visiting dive boats. Other establishments, like SeaQuest Dive Center, Coral Reef Club Resort as well as the Philippine Coast Guard and the Philippine Commission on Sport Scuba Diving (PCSSD) joined their efforts to implement this environmental friendly project. 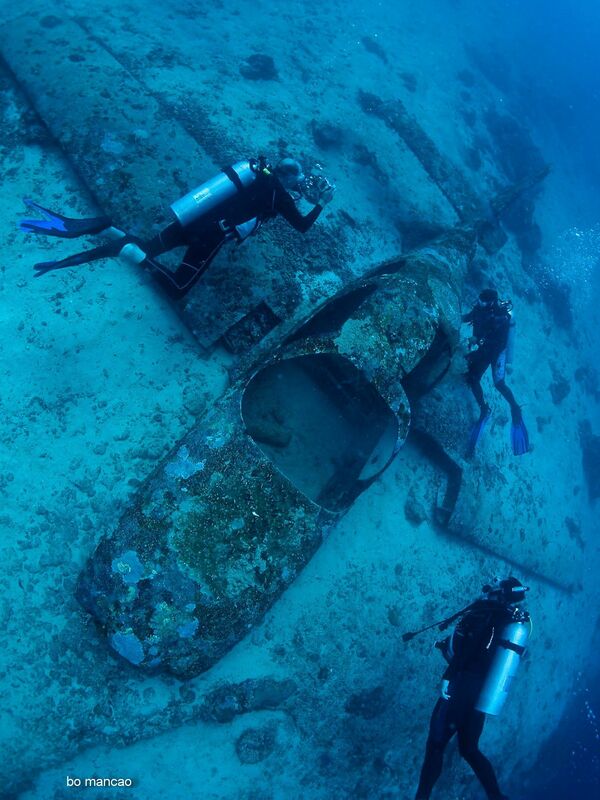 The plane, as an artificial reef, attracts now a multitude of corals and fishes. The stable superstructure of the plane resembles the same characteristics as a real coral reef. Inside the plane caverns and tunnels create protected areas, thus providing shelter for invertebrates and a multitude of marine organism. Divers can enjoy the beautiful sight and the thrill of a little wreck dive while observing the creation of a new reef from a safe distance. The plane was soon covered with plenty small corals. Our divemasters occasionally report the presence of a turtle inside the cockpit,claiming the pilots seat.